Instead of starting new correction, which we expected, Euro is consolidating inside flat pattern. Possibly, in the nearest future price may start falling down again and reach new minimum. 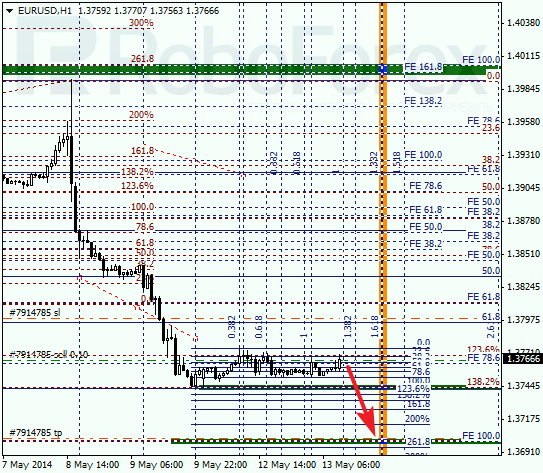 Target is the group of fibo levels at 1.3700 – 1.3695. 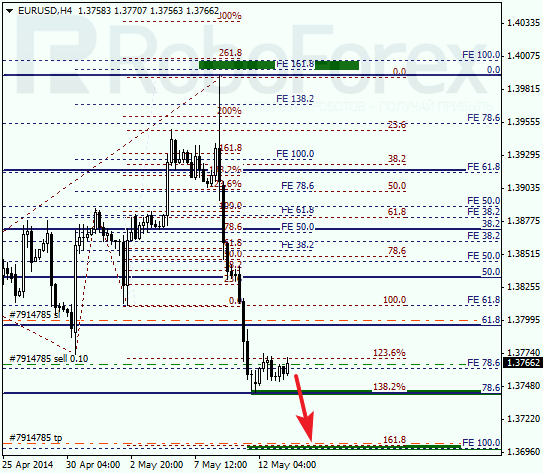 At H1 chart, pair is forming flat pattern and I decided to open short-term sell order with tight stop. According to analysis of temporary fibo-zones, lower target may be reached during the day. If later price rebounds from this target area, market may start deeper correction. It looks like Franc also decided to consolidate for a while instead of starting new correction. 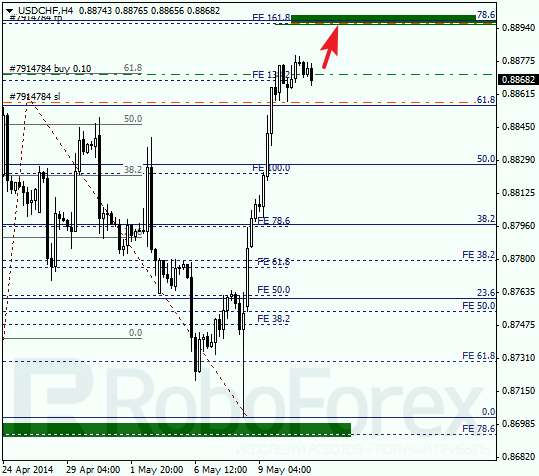 Probably, in the nearest future price may reach the group of upper fibo levels at 0.8900 – 0.8895. If later pair rebounds from them, price may reverse and start correction. 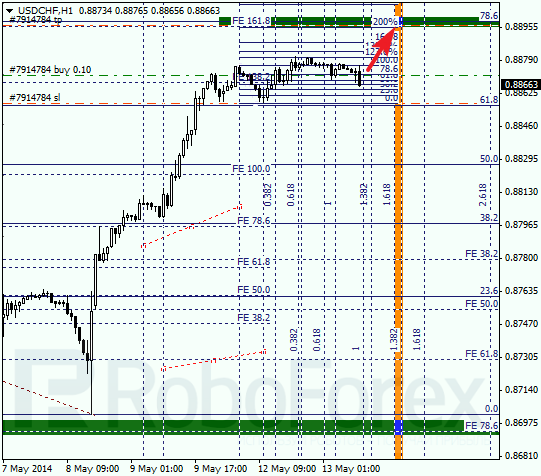 According to analysis of temporary fibo-zones at H1 chart, Franc may reach its upper targets during Tuesday. Price is slowing down a bit, that’s why bulls are very unlikely to break these levels. Therefore, if later price rebounds from this target area, I’ll try to sell very carefully.